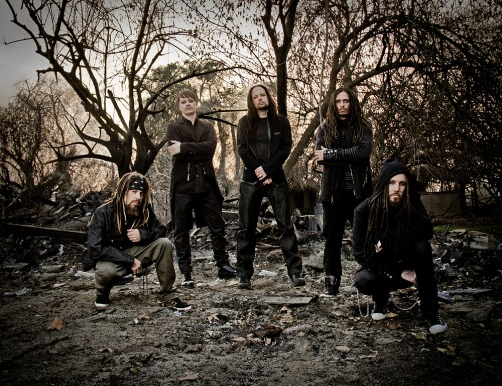 Korn has recently released a new song, featuring Corey Taylor from Slipknot, called “A Different World”. This song will be the third song on the new album called The Serenity of Suffering, which will be available October 21, 2016. The song was produced by Nick Rasuklinecz, who has also worked with Foo Fighters, Deftones and Mastodon, and adds onto the album’s theme of self-reflection and expression. The song contains begins with an electronic sound then proceeds with a mix of drums and electronic guitar with a range of heavy and light pressures on the instruments. The song can be heard below. The band has also released a new music video for this song. This music video is also shown below. The band has recently announced their plans to perform at Sirius XM, which will take place at the Theater Ace Hotel on October 21st.